Lunch Lecture with Steve Bodmer – One week from today! 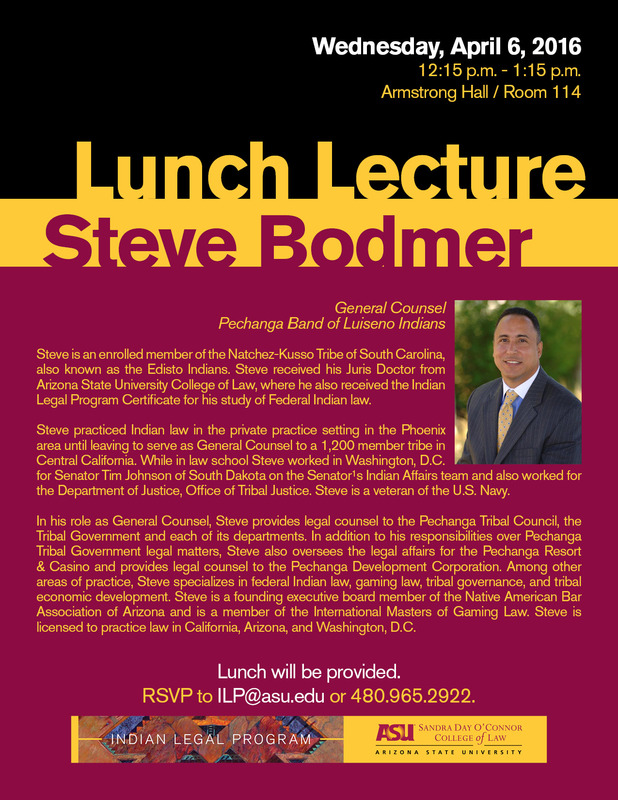 Steve Bodmer (’06) will be on campus to meet students and share information about his position as General Counsel for the Pechanga Band of Luiseno Indians. The Pechanga Band is located near Temecula in southern California. April 6 (12:15pm) in Room 114, Armstrong Hall.